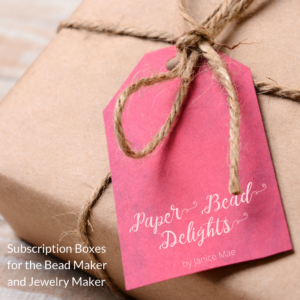 I have read your comments on what you do with the many paper beads that you make and I think we all agree that paper bead making can be addicting and relaxing at the same time. 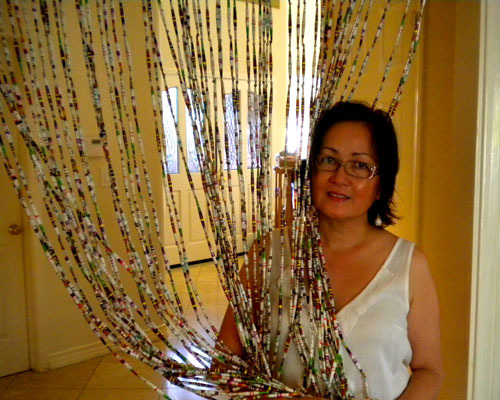 I had previously posted paper bead curtains made by Celina, she was one of the ladies who made paper beads in the Philippines and she made beautiful curtain out of the “rejects” paper beads and look how beautiful it is! I think it is prettier when you just string them randomly. 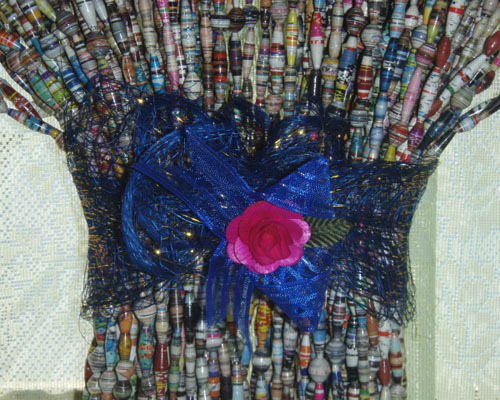 I used a fishing line that can be bought at any sporting goods and just make a loop at the top where the curtain rod would go and finish the end by looping the fishing line twice on the last bead (like putting a bead stopper). The telescopic curtain rod can be bought at a hardware store for something like $3.00 works great as it can fit any door. 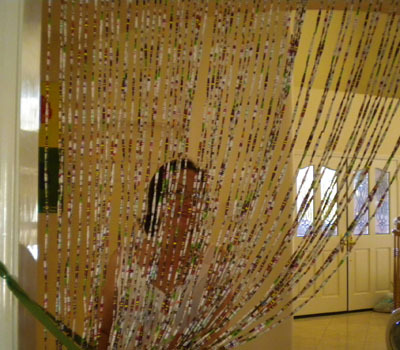 This curtain is made out of 3 inch tubes and small rounds in between, and is 72 inches long and fits a 44 inches doorway. 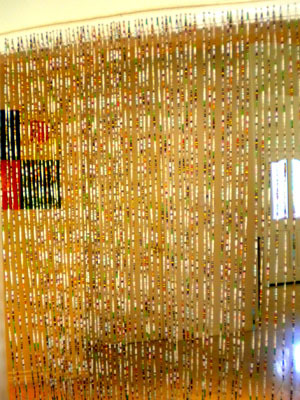 It is big project I know but very rewarding when you get to hang it up and see all your paper beads displayed like that. What a beautiful curtain and I’m sure hours of work. 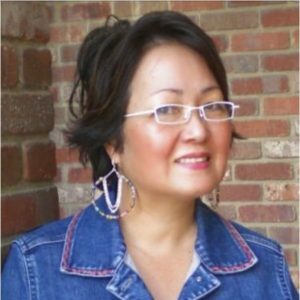 Maybe some day I’ll be able to make something of that quality. 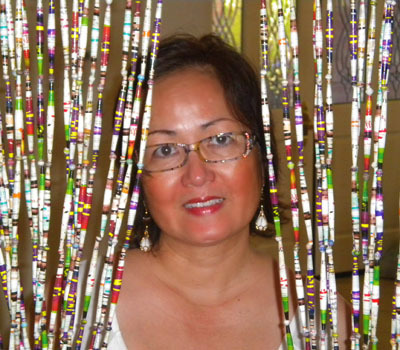 I just started making paper beads. So far I’m getting a little frustrated. It seems that no matter what size I cut my triangles I always end up getting oblong shaped beads. Other than tube beads do you cut the paper into triangles for all other shapes, (such as: olive, round, disk etc.)? I was just thinking about making one for my room today. 🙂 I want to make mine pink, so thats gonna take a while for me haha 🙂 Yours looks so nice.